Early morning flights to and from Mumbai, Delhi, Cochin, Chennai were delayed, which had a cascading effect and led to delays down the line. BENGALURU: The arrival and departure of several flights, including international flights, was delayed due to dense fog at the Kempegowda International Airport on Monday morning. As many as 46 departures and 25 arrivals were delayed while two flights were diverted. 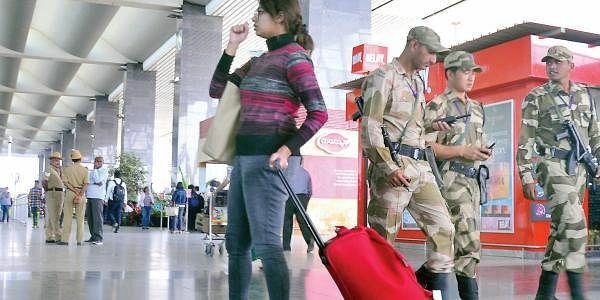 The airport that has partially shut down its runway from 10.30am to 5pm as part of the upgradation project had to push the closure time to 12.10pm to accommodate the flights. As the fog settled in reducing visibility to less than 500 metres, early morning flights to and from Mumbai, Delhi, Kochi and Chennai were delayed. The air services were suspended between 5.09am and 6.35am and 5.30am and 7.28am. This led to delays down the line.